Comfort food people! This is comfort food!! 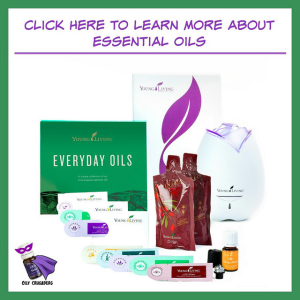 It’s like being in your jammies, in front of the roaring fire, with your bunny slippers on, wrapped in a Snuggie, and reading a good book and sipping hot chocolate, but for your tummy! This dish came about when I opened up one of my cupboards and realized that my potatoes were growing eyes and I knew I had to use them before I would lose them to the trash. Because I only buy organic produce, that wasn’t an option. These potatoes were a little spendier than conventional taters, so I had to come up with something fast. I had a hunk of antibiotic-free, hormone-free, preservative-free, dye-free, nitrate and nitrite-free ham in my fridge–Good lawwd! Remember when you used to be able to just say “I had some HAM?! ?” I also had some organic cream top milk, hand rolled organic butter and a bit of Gruyère cheese, which if you haven’t noticed by now is my FAVORITE cheese. Hands down. I used it in my 3-Cheese Panini recipe and my Onion Bacon Jam Cheeseburger recipe. I even use it in Mac-n-Cheese, which surprisingly enough I’ve not shared with you yet because we eat a considerable amount of pasta and I didn’t want the blog to be nothing but pasta recipes. Goodness, I still have to share my homemade pasta recipe with you guys! After scrounging through the chill-chest and the cupboards it was evident there was only one thing to make with those ingredients, and that was Scalloped Potatoes with Ham and Gruyère cheese. I also made a little side salad so we could get in some veggies. This dish is comforting and VERY filling. It is easy to make and is economical. This makes a great addition to a nice steak dinner as a side dish, yet it’s filling and nourishing enough to be eaten as a main entrée. You can omit the ham for a vegetarian version, and you can even omit the cheese to make it lighter and more affordable. 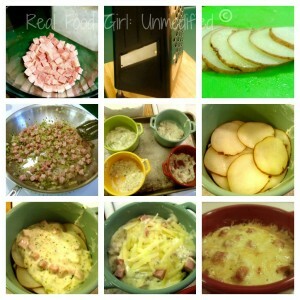 I only added 1-2 TB per crock of potatoes, so I know that this dish would still taste amazing without the cheese. Also, you could omit the flour, use rice flour and end up with a GF version of this if you so desired. It’s the recipe that wears many hats! When I slice my potatoes I’ve found that par boiling them for 3-5 minutes so that they are cooked halfway ensures that the potatoes will all be cooked through and you won’t have any raw ones in your dish. I use baby red potatoes because they are sturdier, and waxier and not only taste better (IMHO) but hold up better in dishes like this. They don’t start to get all mealy and disintegrate like an Idaho potato does. I will slice my potatoes, put them in a well salted pot of cold water and turn on the heat. Once the water starts to boil, I check the potatoes every 60 seconds. Generally within 3-5 minutes, they are cooked half way and I’m read to start assembling my crocks of potatoes. You can make this dish in a 2-Qt casserole dish, or if you have some cute crocks or ramekins, they will work, too. I have some cute little crocks from Bobby Flay that I received as a birthday gift for my birthday last year. Oh, make sure you come and vote for my recipe over at The Country Cook’s Blog. 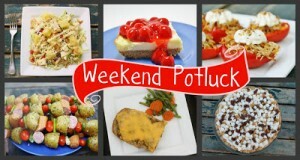 Each Friday, I post a recipe there for the Weekend Potluck and whichever recipe gets the most clicks, wins! I’d love to win!! Especially since I am one of the few bloggers that submits recipes for yummy food that also happens to be organic and GMO free! 3 cups baby red potatoes sliced thin (I used my box grater. It has a slicing section on the side. It’s pictured below in the collage. If you don’t have a box grater with the slicer on the side, cut your potatoes into 1/8″ slices. Add sliced potatoes to a large pot of well salted water. Once water starts to boil, cook potatoes for about 3 minutes. You only want them partially cooked/softened. DO NOT cook them through or your dish will turn out mushy. Drain, rinse and set aside to cool. Meanwhile, preheat a large skillet over medium heat. Add the olive oil and the onion, stir to combine. Add a little salt and pepper and cook onions until softened, about 4-5 minutes. Add the parsley, thyme and diced ham. Cook for another 3-5 minutes until ham is warmed through. Scrap ingredients into a bowl and set aside. Wipe out the pan with a paper towel and return to medium heat. Add the 2 TB butter and melt. Once melted sprinkle in the 2 TB flour and whisk to combine. Cook the roux for about 2-3 minutes (lowering heat if necessary) to eliminate the raw flour taste. Slowly add milk, whisking constantly until smooth. Check for seasoning. Add salt and pepper, then turn the heat up to medium-high and bring mixture to a boil, whisking constantly. Turn heat down to low and continue whisking for 2-3 minutes. Stir in the ham and onion mixture. Taste and add salt and pepper. Stir to combine, cook for another 2 minutes then remove from heat. Butter your ramekins, or 2-Qt. casserole dish. 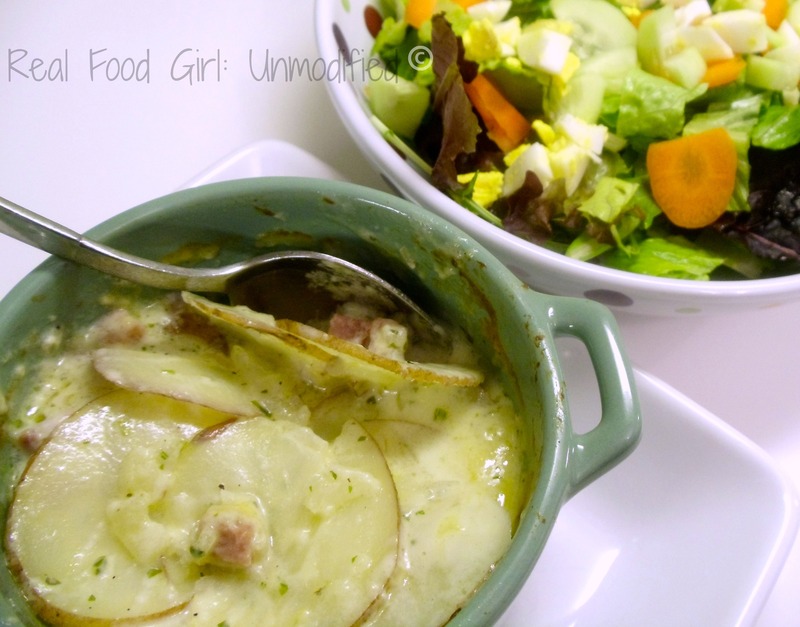 Place a layer of potatoes on top of the sauce in each ramekin. 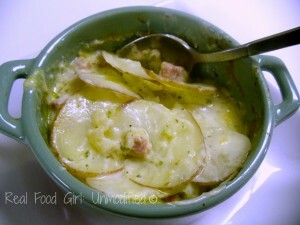 Continue layering potatoes and sauce until each ramekin or your 2-Qt. casserole dish is just about full. I stop about 1 inch below the rim. Sprinkle on the cheese if using. Cover each dish or casserole with foil, place dishes on a baking sheet and bake in a 400 degree oven for 35-55 minutes or until a knife inserted into the center of each dish comes out hot. If you sprinkled cheese on top, remove foil the last 10 minutes and return dishes to the oven to finish baking. Start checking the potatoes at 35 minutes of cooking. Diced ham, the slicing portion of my grater, 1/8″ sliced potatoes, ham-onion and herb mixture, sauce in each ramekin, first layer of taters, second layer of sauce, ready for the oven, and finally, out of the oven! These photos were taken with “Old Faithful” so the color and sharpness isn’t the best. I still have some recipes that are ready to be shared where I used my old point and shoot camera. My goal is to be fully transitioned over to photos taken with “The Enemy”- TSM’s fancy camera, by the end of March. I will have the high quality photos sprinkled in with the not so high quality photos in an effort to ensure that you don’t run screaming from the not-so-professional-looking pictures, I’ll do my best to make sure I don’t have more than 2 days in a row with the lower quality photos before inserting photos from the higher quality camera. Thanks for your understanding and for sticking around as I grow this blog and learn the ins and outs of evolving my humble blog into something fantastically spectacular. I’m very grateful for each of you! These look amazing!!!!!! Pinned it! Tamara, you have NOOOO idea! Rib-sticking, lip smacking, fork-licking good! !